And the second is like unto it, Thou shalt love thy neighbour as thyself (Matthew 22:39). I believe praying the Word for the lost, takes on an entirely new dimension for such prayer. Below I have developed a prayer using the Word of God for salvation of lost souls. I encourage you to search the scriptures and develop your own prayer for lost souls. In the meantime, I suggest that you use this prayer. Just insert the name or names of those that you are praying for in the blank spaces. Lord Jesus, You are building Your church throughout this world. The kingdom of darkness and the gates of hell cannot prevail against it (Matt 16:18). We do not wrestle against flesh and blood, but against principalities, against powers, against rulers of the darkness in _______ life (lives), and against spiritual wickedness in high places (Eph 6:12). We use the powerful weapons of the Word of God, prayer, and fasting to pull down every stronghold that hinders them from knowing You Lord. (2 Cor 10:4,5). We come against satan and all his tactics that keep them from receiving the gospel (2 Cor 4:4). We use the spiritual armor that You have provided to combat the enemy (Eph 6:13). We put on the belt of truth and the breastplate of righteousness and stand with the sure-footed stability because we have the gospel of peace (Eph 6:14,15). Above all we take the shield of faith and stand against the fiery darts of the evil one (Eph 6:16). We also take the helmet of salvation, and the sword of the Spirit (Eph 6:17), which is the word of God: praying always with all prayer and supplication in the Spirit (Eph 6:18) for these lost souls . Lord Jesus, You said that harvest is plentiful but the labourers are few (Matt 9:37). Since You are in charge of the harvest Lord, send us as labourers to them (Matt 9:38). 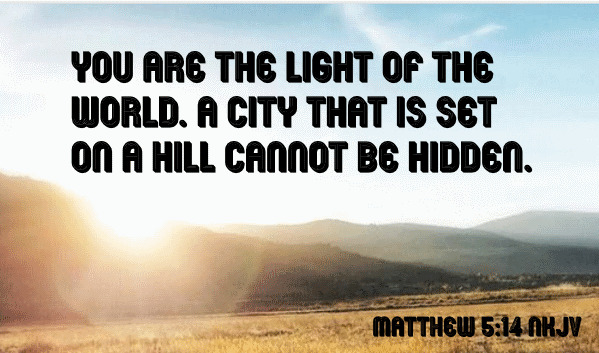 Let us be lights to the world, a city set on a hill that cannot be hid (Matt 5:14). As we go forth Lord, prepare us to be living sacrifices for Your Kingdom (Rom 12:1). Also Lord as You send us, we pray that we go in the power of Your Spirit, so it is not by our might or by our power that we go (Zech 4:6). We pray that our speech and preaching be not with enticing words of man’s wisdom, but be in the demonstration of the Spirit and of power (1 Cor 2:4). We also pray that we preach and teach the Kingdom of God and the Gospel of Jesus Christ with confidence and boldness (Acts 28:31, 4:29). As You send us to them , we pray that You open their eyes, turning them from darkness to light and from the power of satan unto God, so that they might receive forgiveness of sins and the inheritance, which is sanctified by the faith that is in You Lord Jesus (Acts 26:17,18). Lord Jesus, we pray that You open the great door to these lost souls and stand against the many adversaries of the gospel (1 Cor 16:9). 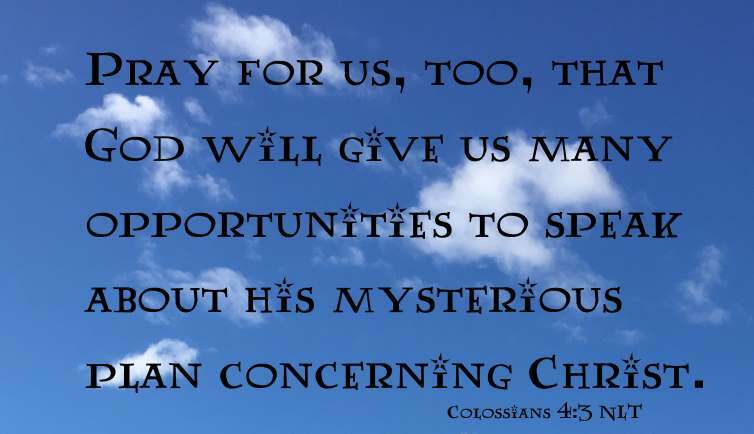 Lord we also pray that You open the doors that would allow us to speak the Gospel of Jesus Christ to them (Col 4:3). Lord, we ask You to open an effectual door by producing many signs and wonders, by our hands, amongst them (Acts 5:12). As children of God, we pray that You make us strong and do exploits (Dan 11:32). Lord Jesus, we know that You are able to do exceedingly abundantly above all that we ask or think, according to the power that works in us (Eph 3:20). Thus we ask that You make a way out of the wilderness for them (Isa 43:19) and lift up Your countenance upon them and give them peace (Num 6:26). 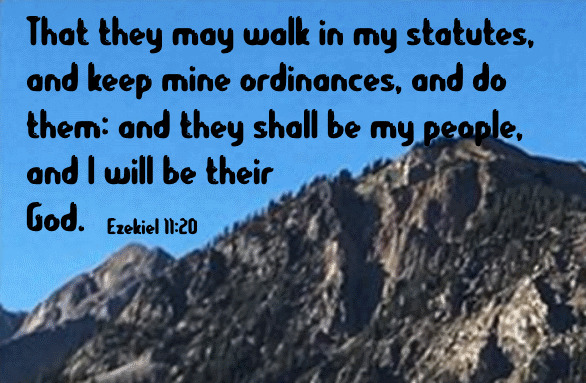 We pray that You put Your Spirit within them, taking out their stony hearts and give them a heart of flesh that they may walk in Your statutes, keep Your ordinances and do them and that they will be Your people and that You will be their God (Eze 11:19, 20). Lord we pray that You will circumcise their hearts so that they will love You (Deut 30:6). We pray that they will know the truth and the truth shall set them free (John 8:32). Lord Jesus, You came to this earth to seek and to save that, which is lost (Luke 19:10) so call them out of darkness into Your marvelous light (1 Pet 2:9). Open their hearts so that they will pay attention to the preaching of the gospel (Acts 16:14). Let them understand what You meant when You said, “Except a man be born of water and of the Spirit, he cannot enter into the kingdom of God” (John 3:5). Lord, we know that You are not willing that any should perish but that all should come to repentance (2 Peter 3:9) so grant them repentance and a knowledge of the truth so that they may escape from the snare of the devil (2 Tim 2:25,26). We pray that they will obey the gospel, Your death, burial and resurrection (1 Cor 15:1-4) by obeying Acts 2:38, by repenting, being baptized in the name of Jesus Christ for the remission of sins and receiving the gift of the Holy Ghost, speaking with other tongues, as the Spirit gives them utterance (Mark 16:17, Acts 2:4). You declared that in the last days You would pour out Your Spirit on all flesh (Acts 2:17) so we know this promise includes these lost souls (Acts 2:39). Acts 4:12 says “Neither is there salvation in any other: for there is none other name under heaven given among men, whereby we must be saved”. O Lord, in the name of Jesus Christ, we are asking You to save these lost souls.